Haidian District, Yuen Estate on the 3rd Beijing, 100044, China. The resonance demodulation is an important method in rolling bearing fault feature extraction and fault diagnosis. But in the traditional resonance demodulation method, the resonant frequency of the accelerometer sensing fault information is discrete to some degree due to processing, debugging and installing factors, and the parameters of the band-pass filter are in need for defining beforehand. Meanwhile, as the message generated by bearing early minor failure is often submerged in strong background noise, the SNR is low, the capacity to apply traditional resonance demodulation method to improve the SNR is limited, and the diagnosis effects are not obvious enough. 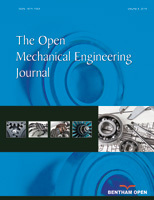 This paper makes use of the equivalence between the electronic resonant system and the mechanical resonance system and conducts resonant gain for sensor output signal using electronic resonators, overcoming the shortcomings of the traditional methods, realizing a UNB high-resolution detection and improved fault feature signal SNR. Besides, the effectiveness of the proposed method has been validated by simulations and experiments, which possess important guiding significance for the engineering practice.